the XXII Olympic Winter Games in Sochi, Russia, in February 2014. LOS ANGELES — On January 7, Los Angeles Kings defensemen Drew Doughty and Slava Voynov, along with forward Jeff Carter, were named to their national teams that will compete at the XXII Olympic Winter Games in Sochi, Russia next month. The 2014 Olympic men’s hockey tournament runs from February 12 – 23, 2014. Voynov will represent Russia, while Doughty and Carter will play for Canada. 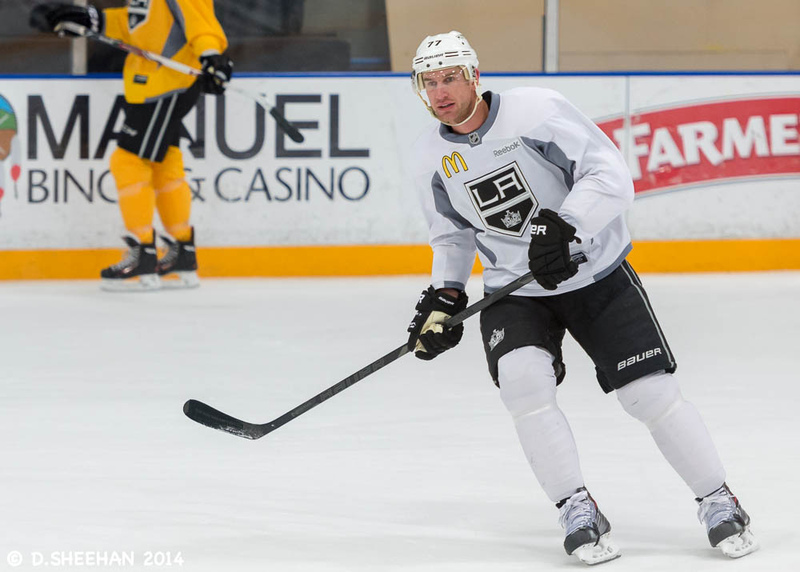 The three players join Kings teammates Dustin Brown (United States), Jonathan Quick (United States) and Anze Kopitar (Slovenia), who were named to their country’s Olympic squads just days earlier. Carter spoke to the media about his selection after his team’s 2-1 shootout loss to the Minnesota Wild at Staples Center that night. Carter said that he got the good news early in the morning. One might think that the news would be exciting enough to make him jump up and immediately call family and friends to share the good news. Carter went back to sleep. Carter barely told his girlfriend. “It was a game day and as excited as he was, he needed to focus on what was important for that day and for the Kings,” added Megan. After the Canadian team was announced by Hockey Canada, there was immediate criticism of Carter’s selection. Carter shrugged off the criticism. Carter said that the larger ice surface used in international play suits his game. Although this will be his first time playing in the Olympics, Carter is no stranger to international competition, having represented Canada at the World Championship in 2006, in the World Junior Championship (Under-20) in 2004 (won the silver medal) and 2005 (won the gold medal), and in the World Under-18 Championship in 2003 (won the gold medal). For the 2014 Olympics, Carter will re-unite with several teammates from Canada’s 2005 World Junior team, including Patrice Bergeron (Boston Bruins), Sidney Crosby (Pittsburgh Penguins), Ryan Getzlaf, and Corey Perry (both with the Anaheim Ducks).